In my book, EPUB Straight to the Point, I use two style sheets: one in the Word chapter and one in the InDesign chapter. I have made them available here and on the main examples page so that you can follow along in the book. 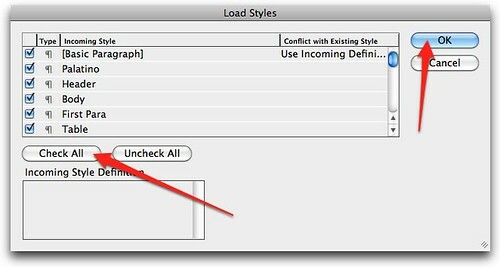 I explain on page 25 of my book how to load style sheets in Microsoft Word. And although I have created a template (WaldenStyles.dotx) with the styles from the Walden project as described on that page, it seems that the template file is either supposed to be invisible or goes in an invisible directory and frankly, I'm not enough of a Windows person to know how to deal with them. Luckily, I'm better at figuring out workarounds... I've also included the Word document that contains the styles (Walden_c1FORMATTED.docx), so if you follow the instructions on page 25, starting at 1, you'll be able to Save as Quick Style Set using my document, then load the style set into your document, as described in step 2. And if you know how to copy the template to the proper place, you can do that (hey, and even drop me a line and help me explain it to others. Download both files here. If you want to use the style sheets for the Walden project that I have created, you have to first download and unzip the formatted InDesign files, either for CS5 or for CS4. Next, open the InDesign file that you are working on. In the Open dialog box that appears, choose the Walden_c1.indd file that you downloaded from my site. 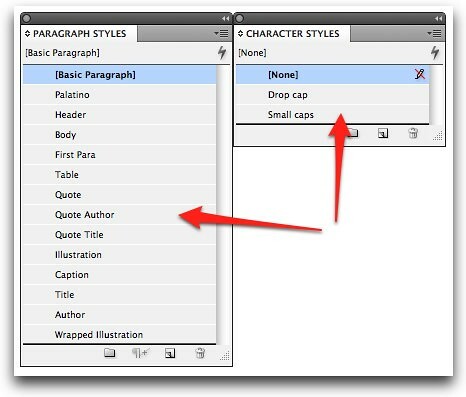 Click the Check All box to copy in all of the styles, that is, both Character and Paragraph styles. All of the styles will load in your Paragraph and Character Styles palettes.